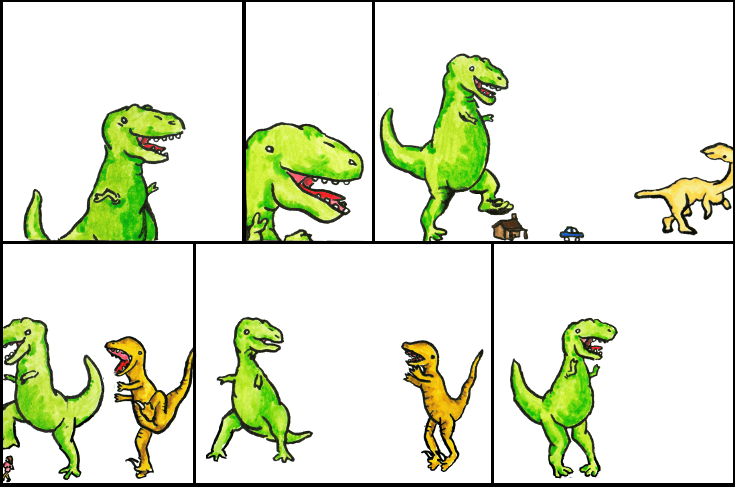 Dinosaur Comics - June 14th, 2010 - awesome fun times! June 14th, 2010: This weekend I used a flamethrower to clear brush and weeds. The experience was deeply satisfying. I recommend it to all and sundry; it's my understanding a simple homemade flamethrower can be made from a tank of propane and a length of tube; be sure to save your game before you start. One year ago today: guest week 2009: andrew hussie of ms paint adventures!